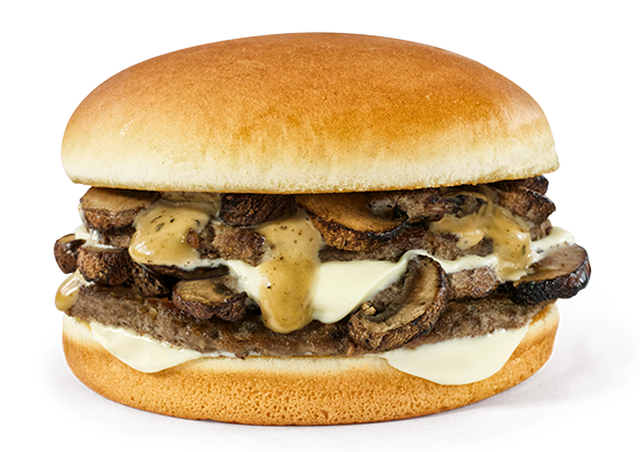 The Mushroom Swiss Burger finds itself back at Whataburger for a limited time. The burger features two beef patties, two layers of grilled mushrooms, two slices of cheese, and creamy Au Jus Sauce on a toasted plain bun. If you're looking for something lighter, they also offer it in a Jr. version.